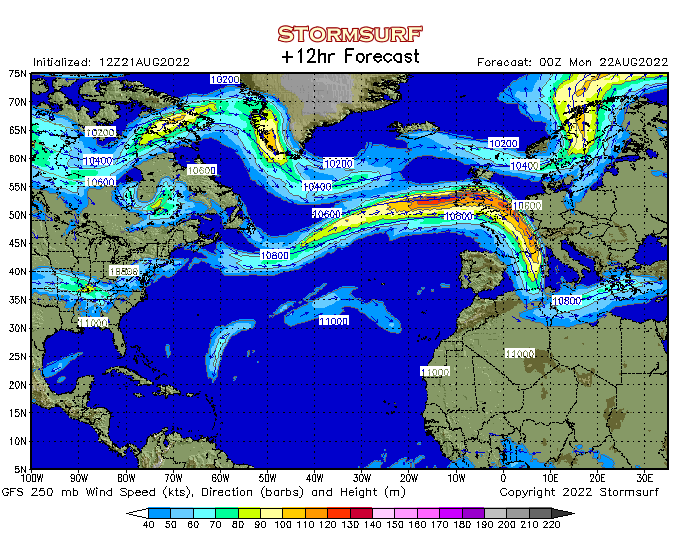 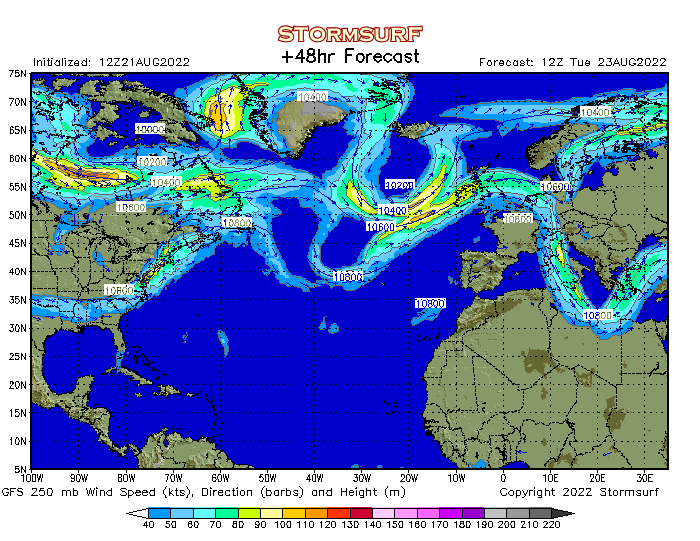 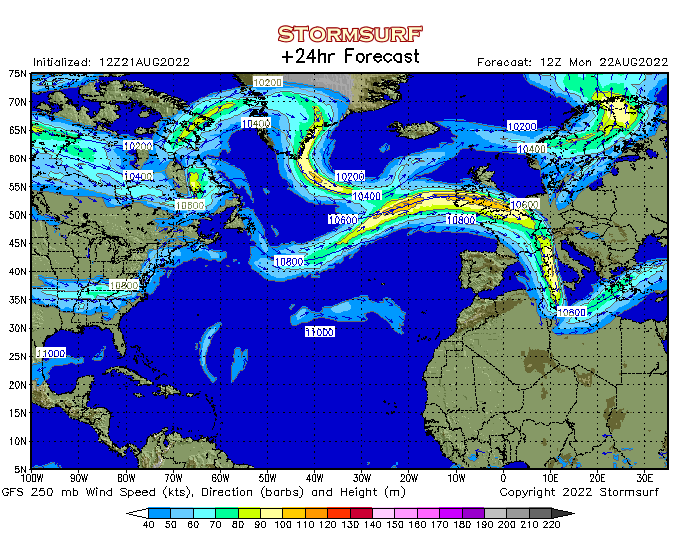 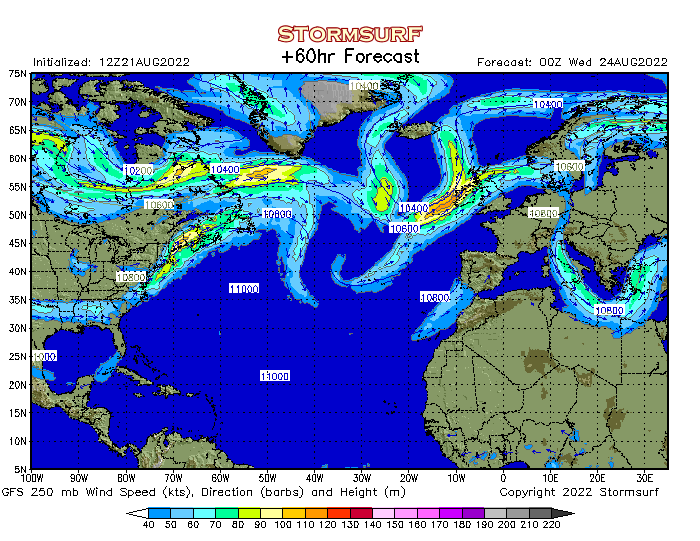 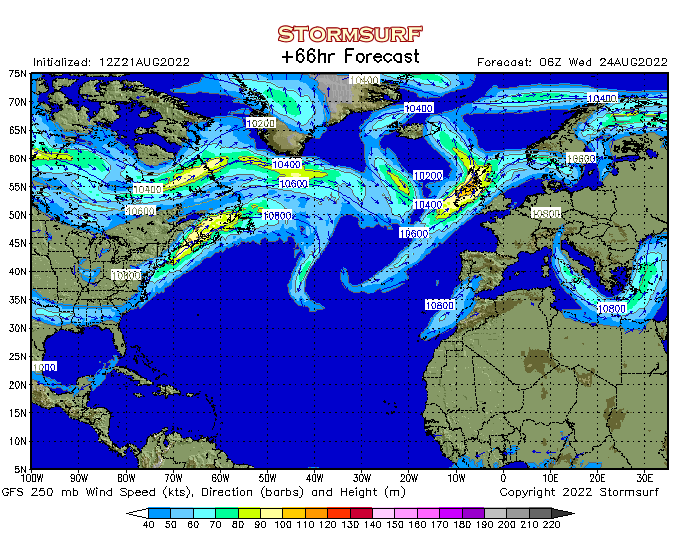 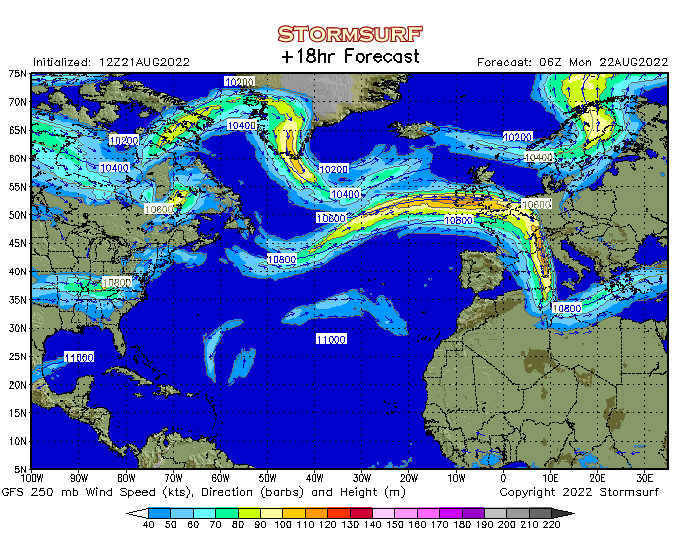 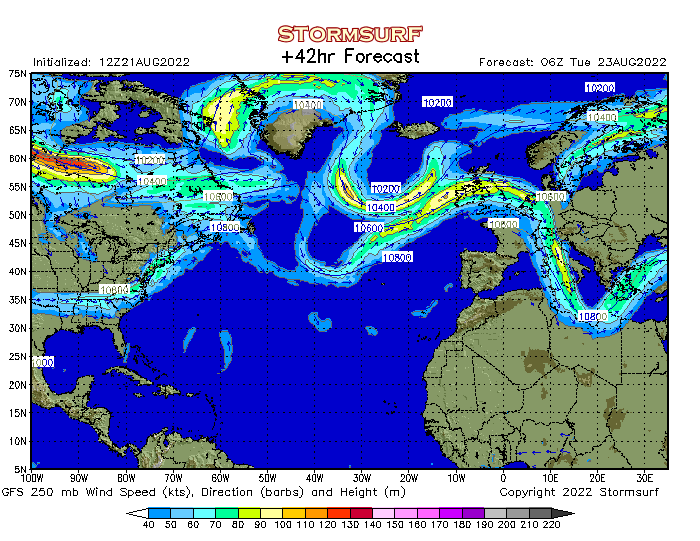 The North Atlantic jet stream forecast for the next three days is shown below. 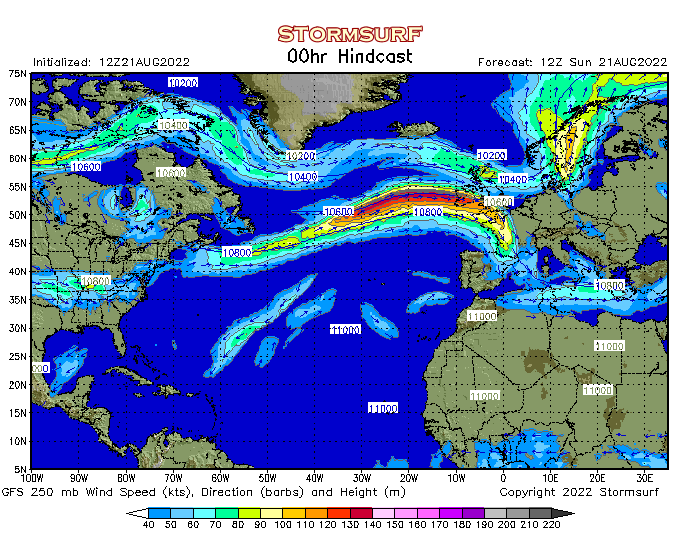 The jet stream is a high altitude wind that tends to flow west to east. 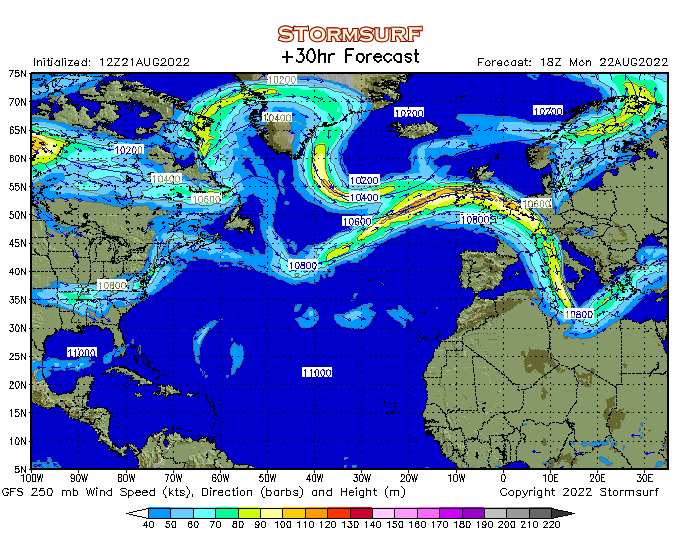 In each hemisphere, there are two jet streams, the polar & subtropical - see the graphic at the bottom of the page. 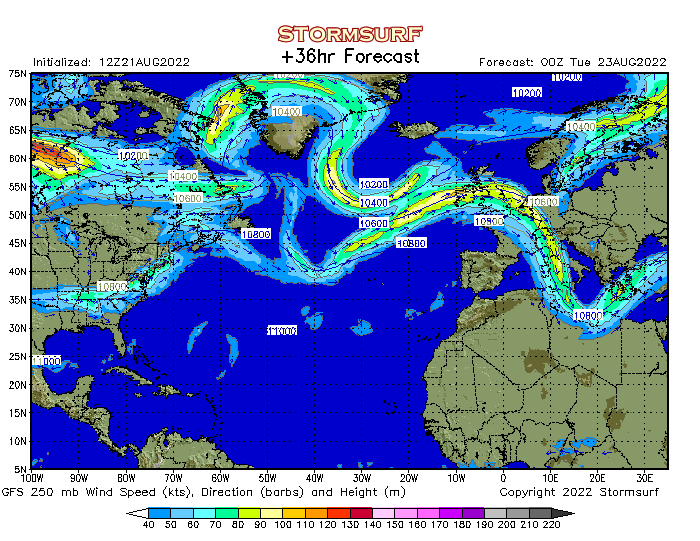 Europe experiences the polar jet stream, to north of which the air is cold & to the south it is warm. This is reversed in the Southern hemisphere. 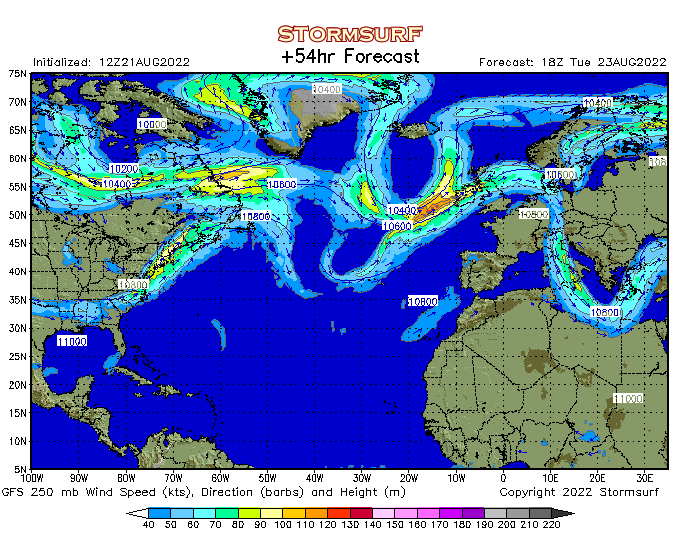 Beneath the polar jet stream is the mixing zone where weather systems tend to form, bringing weather fronts carrying rain or snow.